ALPHACAM is a leading CAM solution for wire eroding. The emphasis behind the development of ALPHACAM is to provide our customers with productivity, reliability and flexibility. 2-Axis machining with optional constant draft angle and 4-Axis shape-to-shape cutting are fully supported. 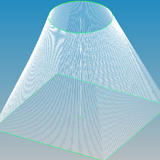 Multi-level block heights can be automatically calculated if the wire angle exceeds the CNC machine’s capability. Automatic nesting of parts, for sheet optimisation, is just one of the reasons why ALPHACAM is an excellent tool when profiling using lasers, water-jet and plasma cutters. 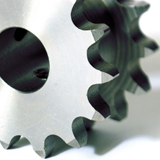 Links to machinespecific technology tables are made easy using ALPHACAM’s powerful API and fully integrated Microsoft® VBA. 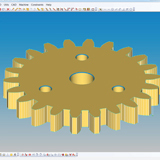 5-Axis support for planar contouring and drilling as well as simultaneous machining for trimming are all supported by ALPHACAM.